Top Hat Formal Hire & Made to Measure is the leading Wedding Company in the South East, specialising in stylish, exclusive and exceptional customer service. 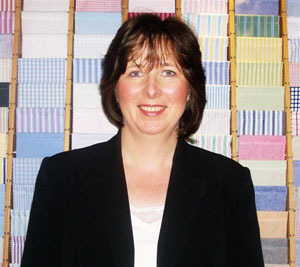 Having worked in the industry for 15 years Top Hat was established in 2002 by Patricia Keane. Formal hire, bespoke, business and as a buyer and graduating to become head of department within the store also worked in Savile Row the couture of Mens tailoring. With all my experience and expertise brought together at Top Hat I have a store with a difference. Each member of my team is trained to the highest standards offering both a reliable and professional service. We have introduced two new products to our store Made to Measure Suits & Made to Measure Shirts and will be expanding in the near future. During my time at Austin Reed, the Prince of Wales granted the THREE FEATHERS to Austin Reed the highest accolade a retail store can receive. I had the pleasure of meeting so very famous people and some very influential people. Top Hat was a finalist in the Customer Excellence Retail Award in 2009.